Brain Activating Acupuncture is also know as “Xing Nao Kai Qiao (XNKQ)” in China. 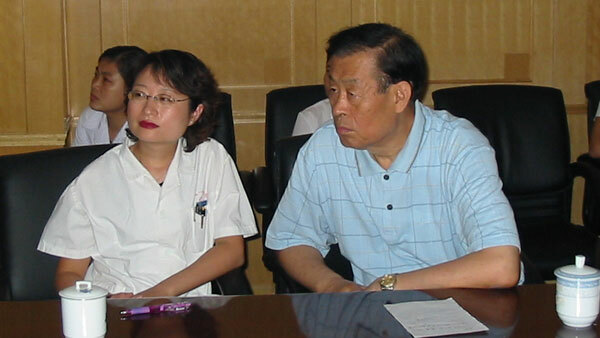 It was put forward by Prof. Shi Xuemin, the former president of the 1st teaching hospital of Tianjin University of TCM and the only TCM academician in China. It was originally designed and applied to help stroke patients to recover. After 30 years of practice, its indications have been widened to central nervous system diseases and mental health issues. Improving hemodynamics: they can decrease blood viscosity, red blood cell aggregation index, fibrinogen and platelet aggregation index. All of these factors will retard the blood circulation. When the hemodynamics are normal, blood circulation will be smooth, so there will be more blood circulating to the brain. Improving cerebral oxygen metabolism and blood flow: these 3 points together with other head points can dilate cerebral vessels so as to improve the blood supply to the brain, thus increasing the oxygen and energy metabolism and decreasing the damage in the brain. Producing beneficial changes in the hyperfine structure of the cardiac muscle so as to improve the heart’s function in pumping more blood to the brain. Brain Activating Acupuncture has another group of points on the body. Most of these points are in the areas with a rich distribution of peripheral nerves. Stimulating these points can enhance the mobility of the four limbs.